I loved this vest at the Duplicity booth. Me encanto este chaleco en el stand de Duplicity. With Juliana and Susana (models) at the “silver store” booth, a good vibe place! 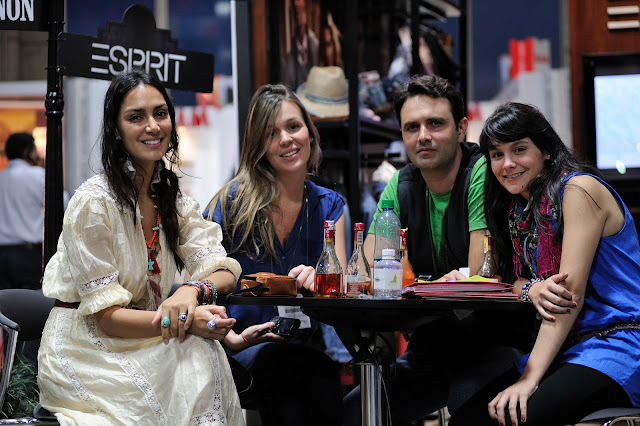 Con Juliana y Susana (modelos) en el stand de “silver store”, era un lugar con buena onda! at the lounging area in the “silver store” booth. Hip-hop dancers at the “silver store” booth. Bailarines de Hip-hop en el stand de “silver store”. An interview after a show. Una entrevista despues de un desfile.